As teens grow more digitally connected by the second, it’s becoming clear that the internet can be nearly as dangerous as it is useful. Cyberbullying has emerged as a major threat to teens’ emotional wellbeing, and it’s something every parent should know about. Cyberbullying is harassing, threatening, defaming, or otherwise abusing another person online. Cyberbullying can happen on websites, social media, and via text message or instant messenger. Sending mean or threatening emails, text messages, or social media messages. Posting personal information, including embarrassing or hurtful information, on public forums. Breaking into or “hacking” accounts to pose as another person. Creating websites or social media pages to taunt or make fun of another person. Using the internet to encourage others to bully someone. Posting a person’s private pictures. It’s estimated that more than half of teens will experience cyberbullying at some point in time. Unfortunately, only 10 percent of teens victimized by cyberbullying tell their parents about the abuse. Cyberbullying is just as harmful as being bullied in person. Kids who are bullied online may develop low self-esteem, struggle with schoolwork, and experience depression. In some ways, cyberbullying can be even more harmful than bullying at school. When teens can’t escape bullying even at home, it eliminates the place they feel most safe. Plus, there’s less supervision online than at school or friends’ houses, and teens might be more cruel than they would fbe ace-to-face. And since online activity is often anonymous, teens can bully with little fear of repercussion. The best way to protect your child from cyberbullying is to stay aware of his online activities. That doesn’t mean installing parental controls or a keylogger, but rather talking to your teen about what sites he likes to visit and why. Spend time exploring unfamiliar websites and, once you’re informed, restrict websites as needed. If you move cities, stay attuned to your teen’s social life in his new school. Teens are especially vulnerable to cyberbullying when they’re the new kid. If your teen is struggling to adjust to a different environment, encourage him to find ways to get involved at school or in the community. Appearing upset after spending time online. Withdrawing from friends, social activities, and extracurriculars. Struggling to connect in a new school. Changes in mood, sleep patterns, or eating habits. If you think your child is being cyberbullied, talk to him about his experiences at school and online. Offer comfort and support, reassuring your teen that it’s not his fault. Teens may blame themselves for their alienation, causing low self-esteem that can last beyond adolescence. Instruct your child not to respond to bullies online, as it may only make the situation worse. Instead, take screenshots of offending posts, text messages, emails, or web pages. Then, block the bully and take the evidence to a school principal or counselor. 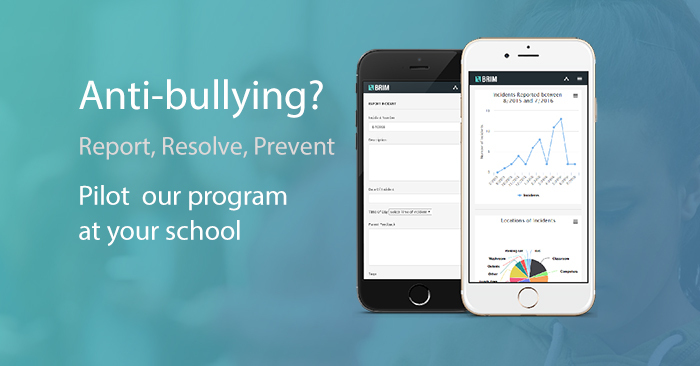 While school officials usually can’t do much about online bullying, sharing information enables them to monitor for mistreatment on campus. Make sure your home is a safe and stress-free space. That may mean restricting technology, even if your teen protests. It’s difficult for teens to resist the urge to engage with a cyberbully or dwell on hurtful messages, and limiting internet access can remove the temptation. Consider restricting technology use to common areas and certain times of day. While restricting technology can be the right call, it shouldn’t feel like a punishment. Ensure your teen has positive activities at home so he’s not pulled to spend time online. Encourage extracurricular activities and hobbies to build self-esteem and make family bonding a priority. Perhaps most importantly, make sure your teen knows that while cyberbullying is serious, it’s not forever. As your teen grows and matures, he’ll move on from negative influences and onto bigger and better things.